We use locally grown snapdragons whenever possible, as they are of far superior quality. Snaps drink a lot of water and should be unpacked and rehydrate upon reception. They are particularly sensitive to ethylene gas. 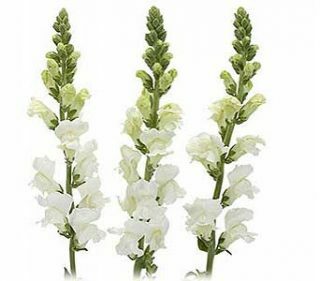 Be sure not to store them in a refrigerator with fruits and vegetables as they give off ethylene gas which will cause the snapdragons to wilt.